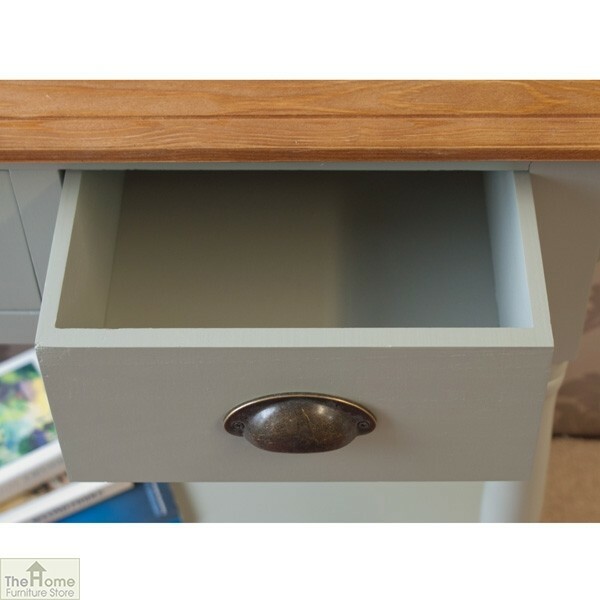 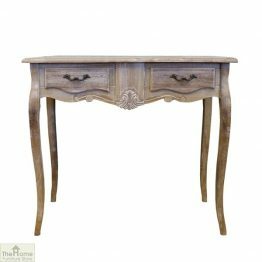 Casamoré Henley 2 Drawer Console Table forms a part of the Casamoré Henley range and features solid wooden frames with tops made from solid clear oiled Pine. 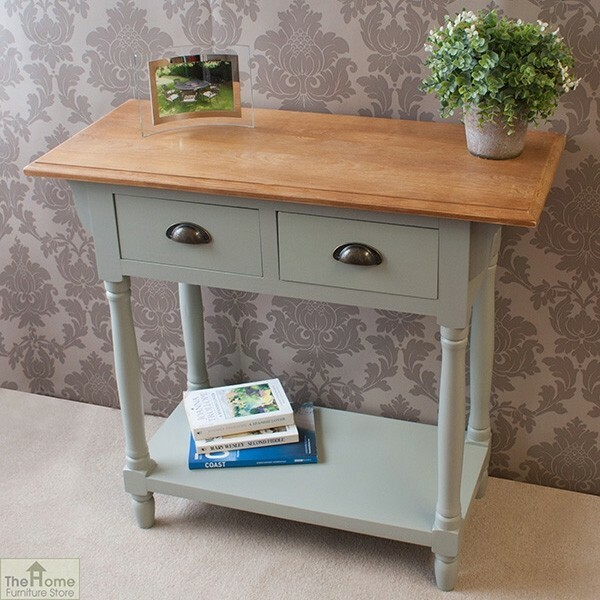 The collection is finished in a beautiful antique green paint. 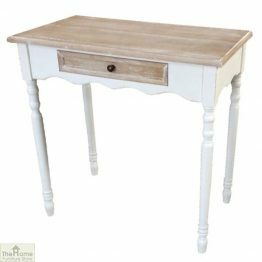 Measurements: W85 x D38 x H77cm. 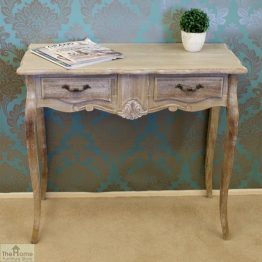 Casamoré Henley 2 Drawer Console Table is part of the Casamoré Henley range. 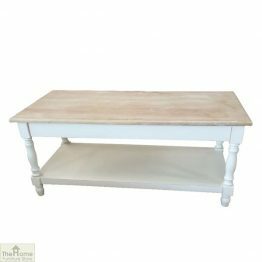 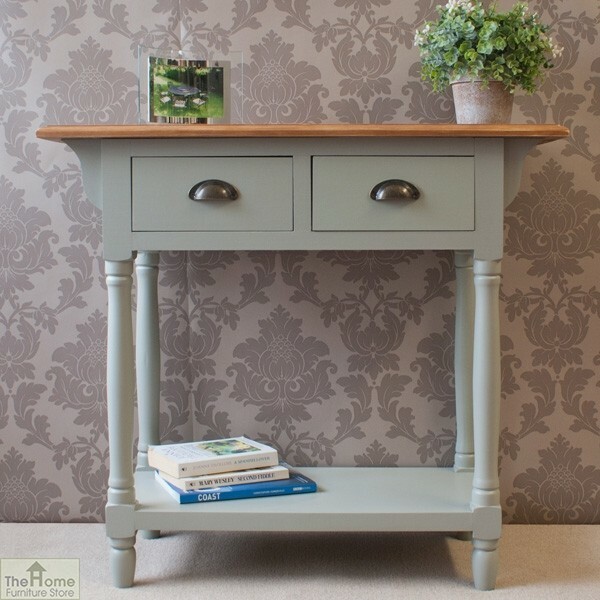 Designed to emulate the fashionable Farmhouse look, this Casamoré Henley 2 Drawer Console Table brings the vintage feel into your home and mixes it’s timeless feel with modern practicality. 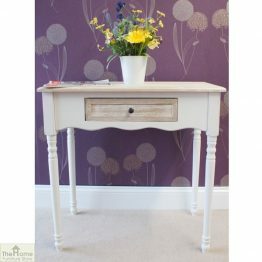 Made with solid wooden frames and a golden coloured, clear oil solid pine top. 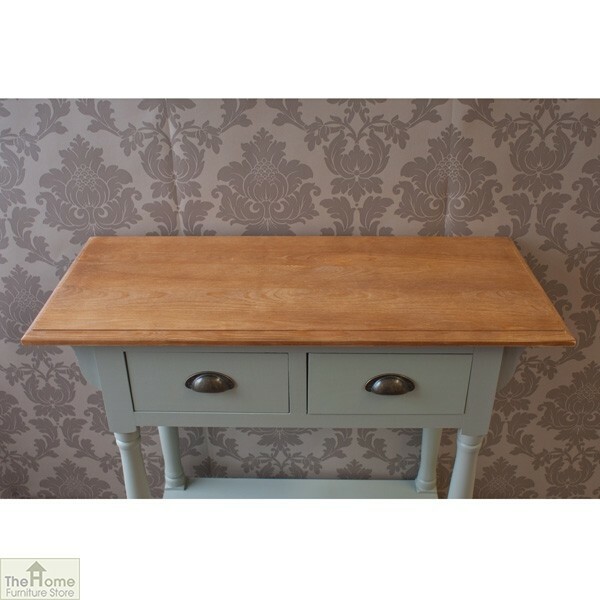 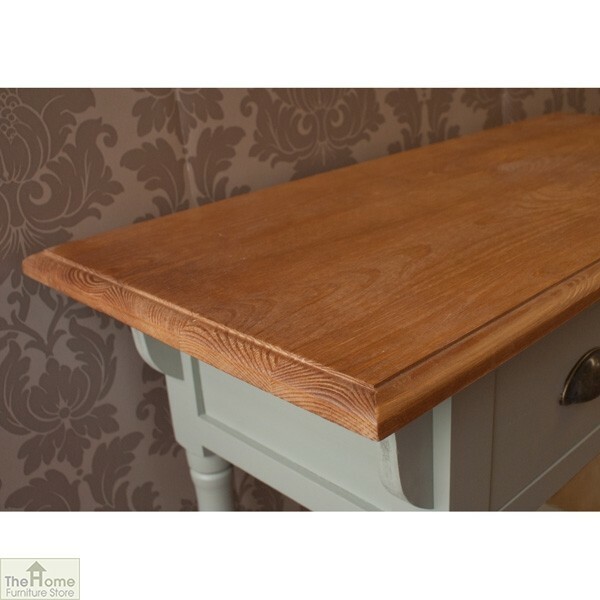 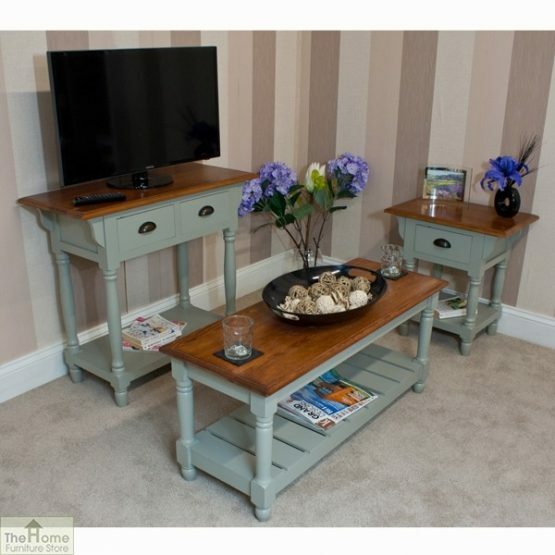 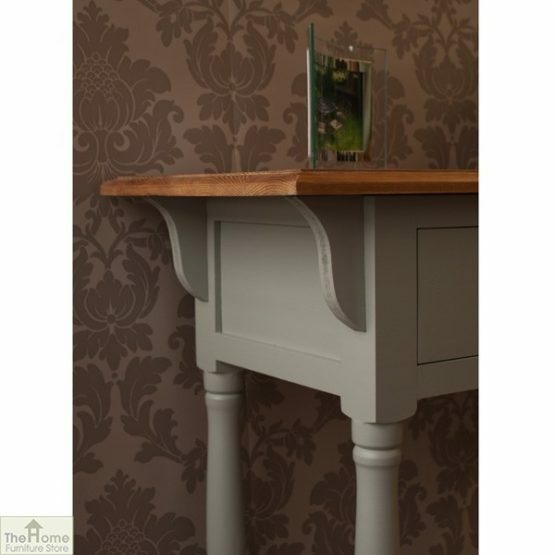 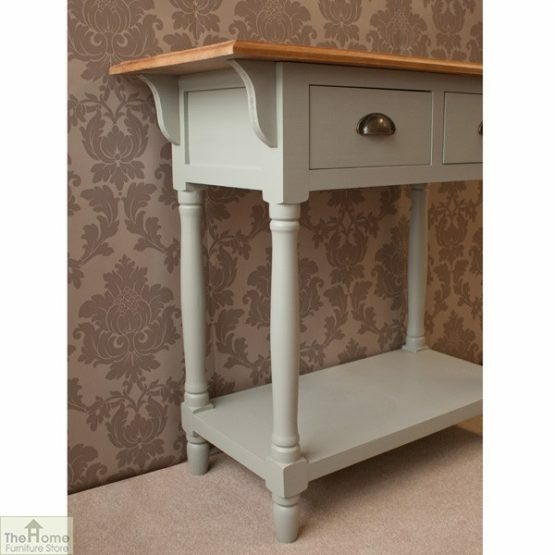 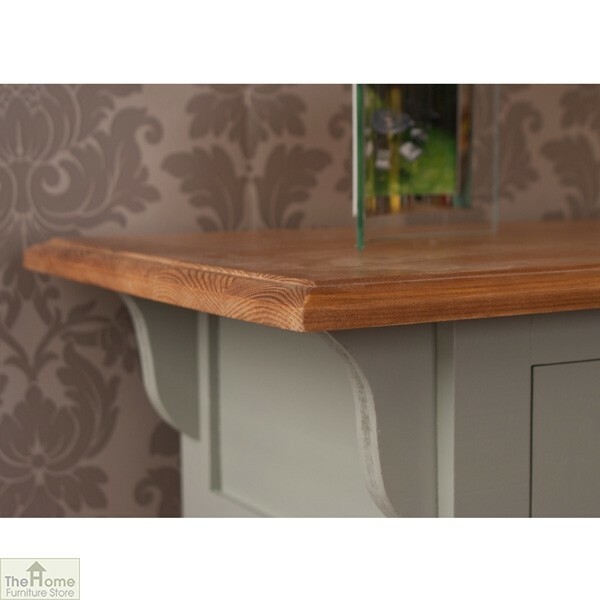 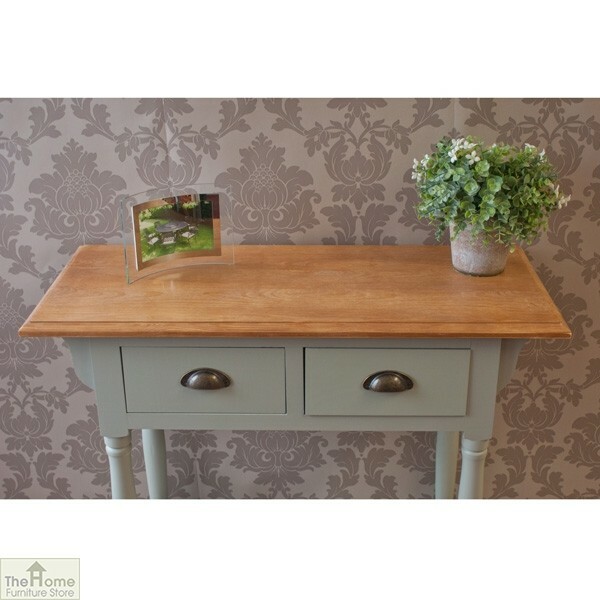 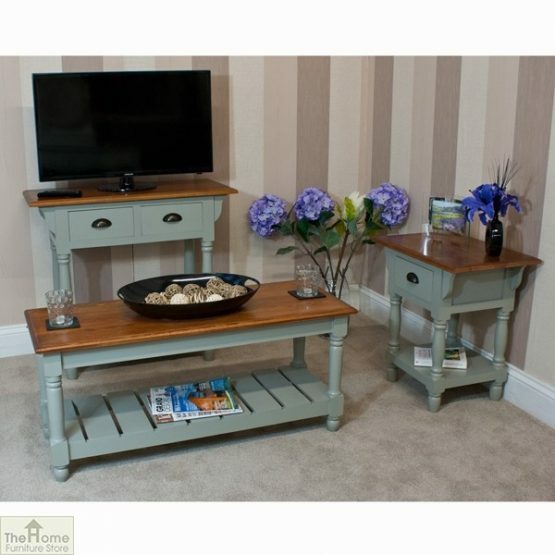 This Console Table Green Painted Henley Collection will enable you to add a stylish finishing touch to any room. 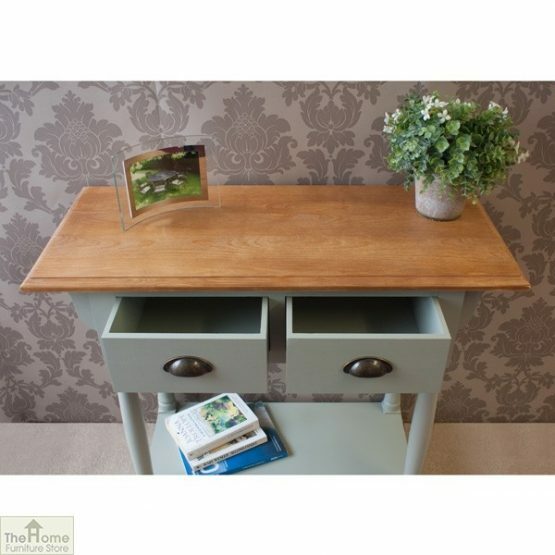 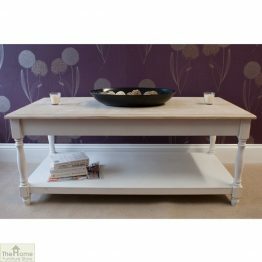 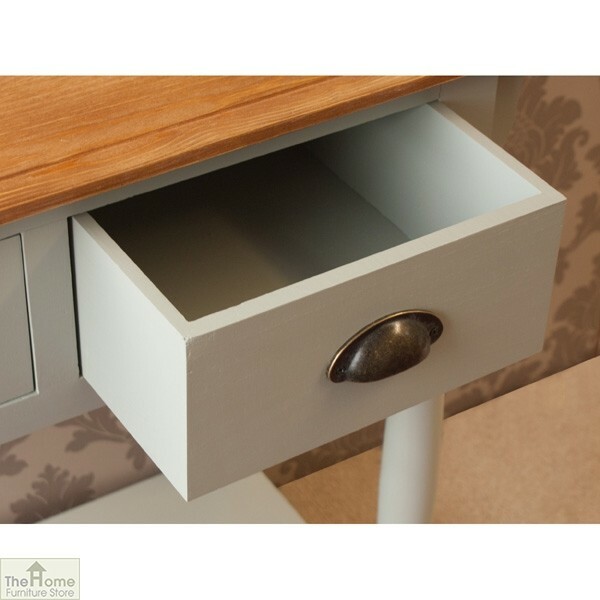 This stunning console table features 2 handy drawers which are perfect for storing any household items. 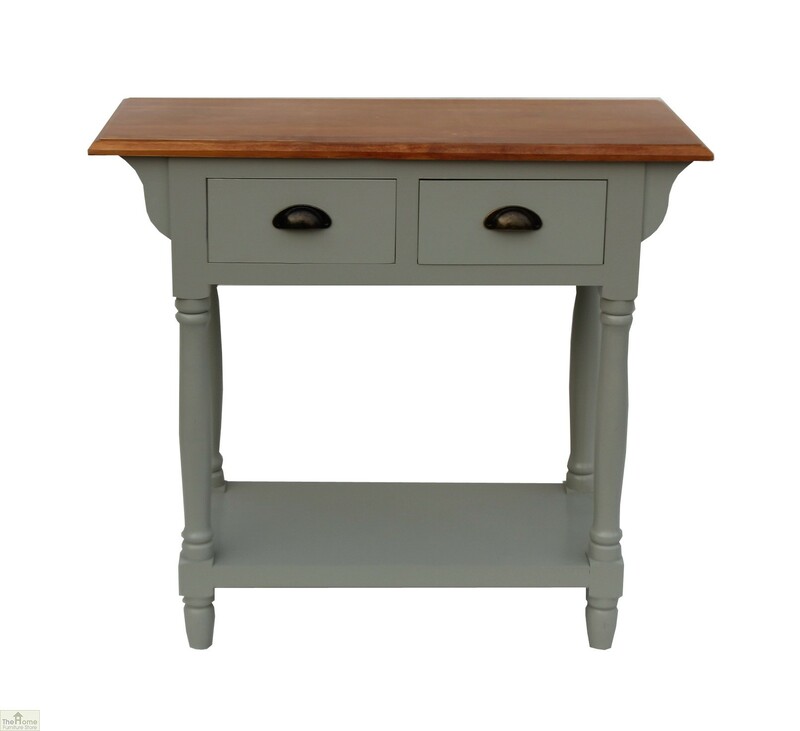 If you are keen to tap into the current vintage trend whilst ensuring that your furniture will last, this product is for you.